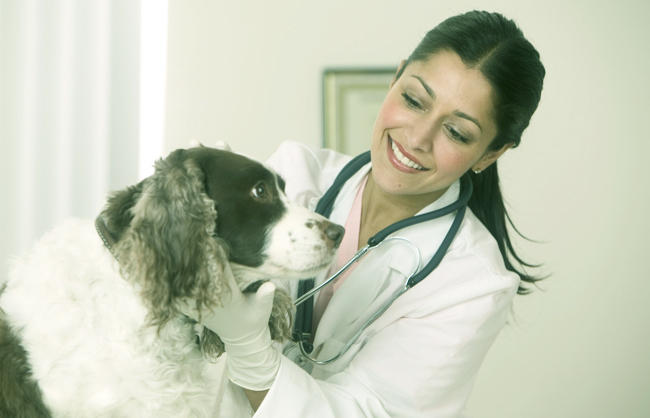 “Veterinary is the branch of medicine that basically deals with finding, curing a prevention of diseases on animals”. What are the academic and professional requirements needed to become a veterinarian? Previously, Veterinary Council of India conducts All India Pre Veterinary Test (AIPVT 2019) for admission to Bachelor of Veterinary Science & Animal Husbandry (B.V.Sc & AH). It was the examination of 3 hours duration and contains 180 objective type questions from PCB group. From the year 2017, this exam has been scraped by NEET 2019. So candidates have to qualify NEET exam to get admission in Veterinary courses. For more information regarding Veterinary, you may ask your queries below. sir cant we do veterinary course through eamcet exam? Do we need to pass in NEET inorder to do BVSc? Can I got admission in veterinary through neet score, as I have score 480+ marks in neet 2018 , if yes, then wt is it procedure? Wait for VCI counselling notice for this year. Sir veterinary bvsc ke bad government jobs zoological parks aur government section mein hote hai kya? Sir I want to be a veterinarian but I wish to study and practise as a vet in any foreign country after PCB 10+2. Plz guide me through the exams required to be given for it and the good countries, colleges and scholarships for it. And Veterinary science are different courses of bachelor or they are the same.? It is important to do a 5 years course to become a veterniary doctor. And veterniary physician also requires to do this 5 years degree ??? If not what is the degree for it to become ? Yes, it is necessary to do veterinary course to become veterinary doctor. Which exam I have to write for IVRI college ?? But AIPVT is replaced by NEET na?? Sir which exam I have to give for get admission in IVRI bareilly I m from Maharashtra. Sir 15% counselling NEET marks pe Hone wali hai kya?? I mean 15% quota mai. my son wants to b a vet doctor in future, please guide me is neet compulsory to take admission in BV.Sc.So I can start making him prepare for the same. In most of the colleges the admission will be offered through NEET. However, some colleges have their own criteria for admission. So, its depend upon college to college. I just completed my graduation in BSc biotechnology I want to pursue a career in vetenary science which exam I should apply for? AIPVT exam has been replaced by NEET. So you can appear for NEET exam. I passed out my 12th exams in 2017 with 66.6% in p.c.b. How can i apply for addmision in vaterinary?? Apply for NEET. It is now for Veterinary. can apply both, but NEET is good. sir I have got wet marks in neet. can i get admission to any of the veterinary colleges in India through all india 15% quota councilling ? sir,when will be the all india councelling for veterinary through neet would be? sir,Bds or Vaterinary which one is better? I get 340marks in neet 2017 . Eligible. It is from NEET. I would like to know that how can I apply for the aipvt( all India quota).date and procedures for applying for aipvt. i got 780 rank in apmcet 2017.but i am frm telangana.so can i get seat in gov agriculture? Am interested in studing in animal husbandary course so how can i apply to this course in this college kindly please reply me.so that i can get there admission in this year. sir अभी 30/04/17 को मैंने अपनी मध्य प्रदेश पीवी&एफटी इग्जाम दी. जो की bvsc course के लिए है.सर मुझे यह जनना है की इस इग्जाम का cutoff मार्क्स कितना है और इसका रिजल्ट कब तक आयेगा. इसका लास्ट ईअर cut off क्या था. प्लज़ रिप्लाइ सर ??? After completion of diploma in veterinay , eligible for bvsc or not? Hello, sir bvsc private karne par kitni total fees padegi Aur private college she bvsc karne se kya govt job mil sakti hai??? It may vary from state to state…. If u want take admission in bvsc course by 15% all India quata, u will have to score 480 to 510. Its minimum range for bvsc, the last year cut off, for all India quata was 508 for general and 490 obc, 470 sc, 465 st in AIPVT,state seat fill by state govt by state counselling, u can see state cut off in net but always cut off in state counselling, if u really want veterinerian u should prepare again Neet or state veterinary entrance (many stare seat fill by neet score and some state have separate entrance exam) or second option u can contact private veterinary college for admission against management quata, only qualifying mark mandatory for management quota, the fee range of management approx 4 to 8 lac per year course duration 5.6 year,and also private college charge donation, many agent also provide admission in bvsc under management quota. After bsc wht to do for be a veterian? I want to get admission in West Bengal University of Animal and Fishery Sciences. I have seen the websites but there’s no information about the form, Can you please help? is aipvt this year will conducted through neet ?? Sir, what the hell going on V.S. V.S. and P.M.T. are get interconnected on this year. plzz sir give me specified detail. Sir … I am a middle class student … studying inter first year … I have to become a veterinarian in west godavari district only but in short time that means 4 years .. wht can I do. ………. Plz give me cut of mark for bvsc. How much will be the fees for veterinary degree in private clgs in India???? Sir, Required information for private veterinary college’s and admission process. Sir my Neet 2017 marks is 532 and m belong to general category can I get government veterinary collage this year through 15% quota?